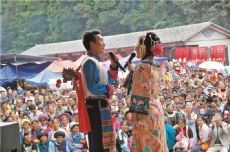 Every ethnic group in Yunnan has love songs. For them, singing is a kind of instinct to express mood and love. Their gatherings, however, is not simply about singing loves, rituals are also commonly held. 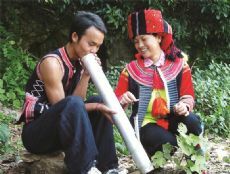 In the gatherings of young men and women of Yi people, moking water pipe� is an activity where they develop closer relations. When men are about to smoke water pipes, women will light for their loved ones. Then they will start communication by singing and dancing in fixed forms. 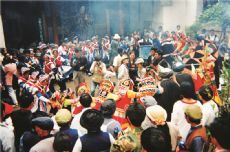 For Yiche Branch of Hani people, the baduo� is their dating banquet where young men and women communicate with each other by singing. When they want to introduce themselves, compliment each other or make jokes, they sing. Therefore, the participants must be good at singing, otherwise there will be embarrassment. During the banquets, men and women need to toast to each other for several times. In addition, men have to serve dishes for their loved women.